After a year with the 2016-2017 NET Team, they are about to leave for the summer. The NET team this year has accomplished so much, with retreats for the Middle School and Upper School, small groups, adoration, and Bible studies. 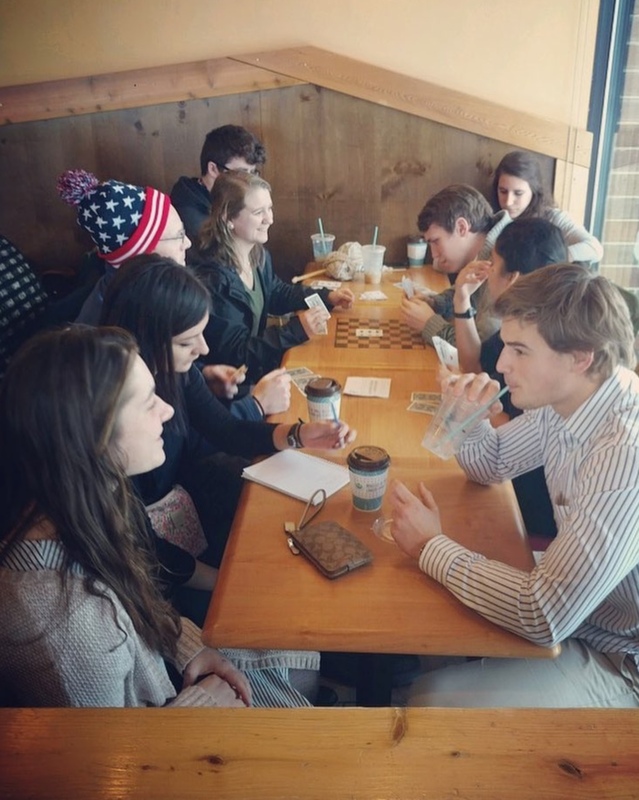 They also formed many connections with the students at PA when they attended sporting events, theater productions, concerts, and even hung out with students outside of school. They constantly cheered people on and helped everyone grow in their faith. What the students at Providence will miss the most about the NET Team this year is their constant support and the fun activities that they planned. Some of the NET Team members recalled their favorite memories from the year. “One of my favorite memories was going to the corn maze with students and the rest of the team. 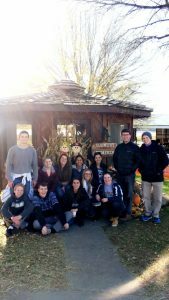 It was funny because we were cleaning corn [from the corn pit] out of the van and out of our pants pockets for weeks,” says Lauren Kubelka, a member of the NET team. 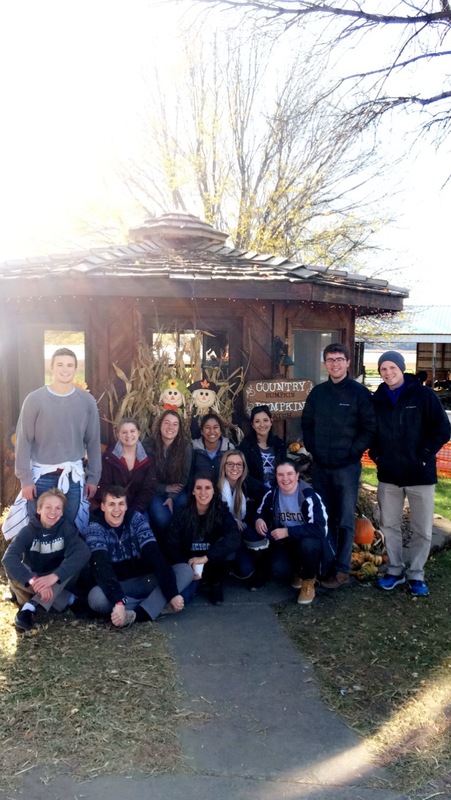 The NET Team and some students at the corn maze. Another great memory was right before Christmas break. The “Netters” brought in hot chocolate for the Upper School, but one condition of having the hot chocolate was that the students couldn’t leave the NET room. “People were literally chugging hot chocolate, with emphasis on the hot,” recalls Elisabeth Ortega. One thing that students will miss the most about this year’s NET team is their constant support. “I will definitely miss the Netters coming to my basketball games to cheer the team on,” said Hailey Hohenecker ’20. The Netters even sat in on some choir and band rehearsals. “We especially loved the band and choir competitions and concerts. Three of us are big band people so we would go to their rehearsals consistently,” said John-Joe Jackson, a Netter and band enthusiast. 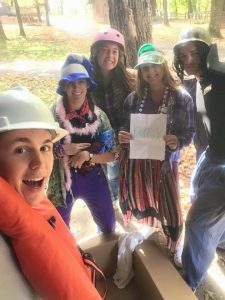 The Netters also recalled their favorite moments of being on and planning the various retreats, alongside Mr. Carrillo, the Choir Director and Campus Minister at Providence Academy. The NET Team planning for the second semester. They worked long and hard to come up with fun activities, skits, and interesting conversations for each different grade level to have on their own retreat. “I loved going on the retreats because I got to talk to student’s that I normally wouldn’t talk to, and I feel like God had a reason for putting them in my group,” says Marina Garcia one of the NET team leaders. Even though the Netters are very sad to leave, they have accomplished so much over the year. Luckily, we won’t be without a NET Team for long, though, because they return at the beginning of every year. Our very own senior, Gabriel Kopp ’17 said that he is taking a gap year to join NET. So, maybe there will be a familiar face in the NET team come next year. Some of the Netters on their first retreat. Great article, the pictures are great!